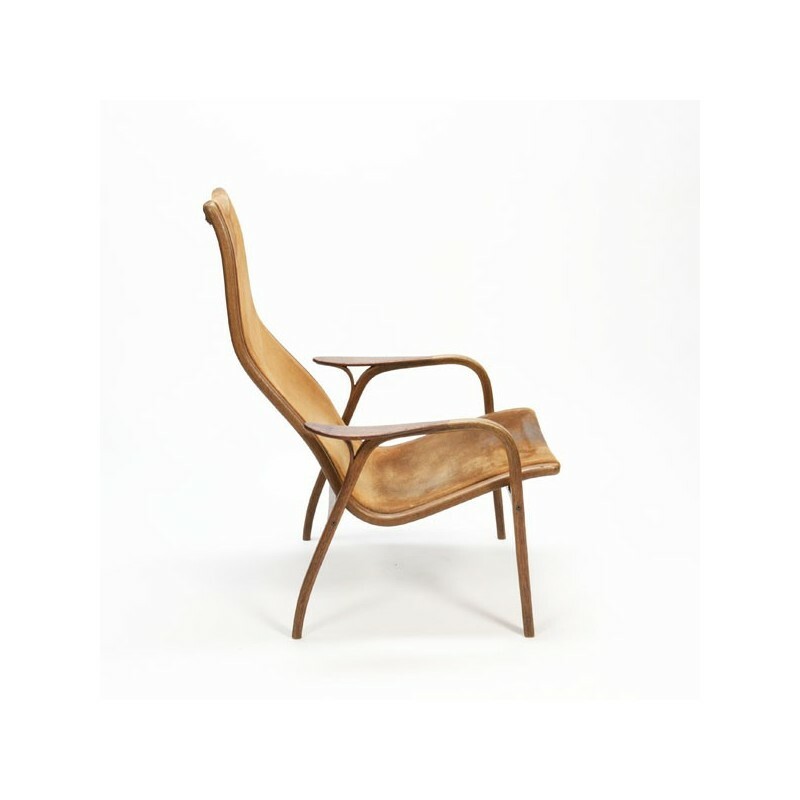 Early edition of the Lamino armchair, January 1965. 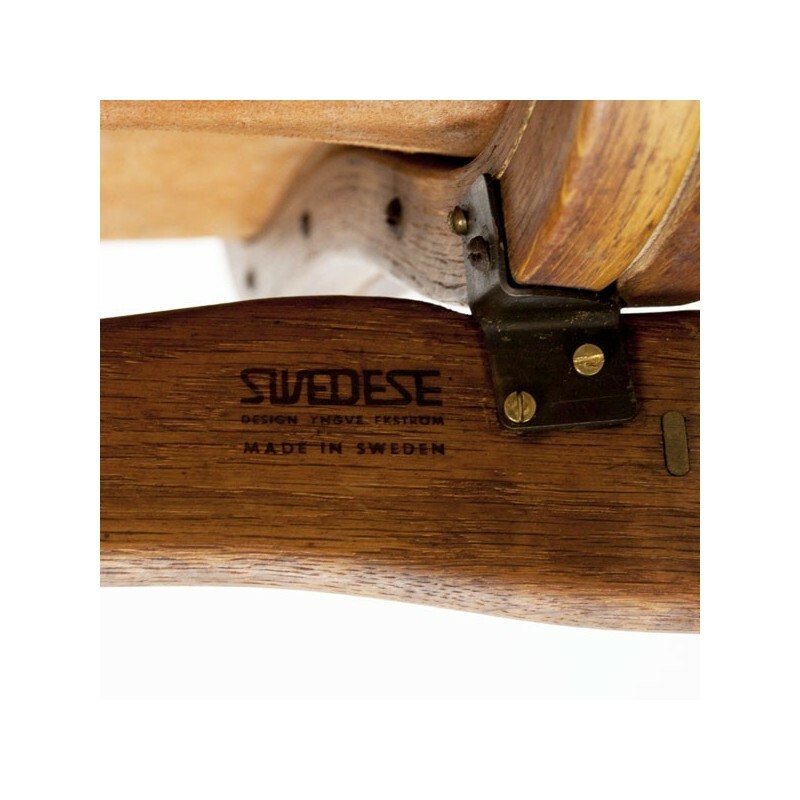 The Lamino was designed by Yngve Ekström in 1956 and released by Swedese. 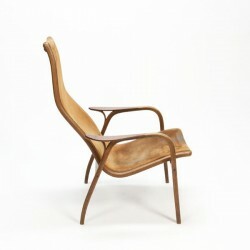 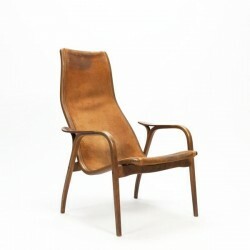 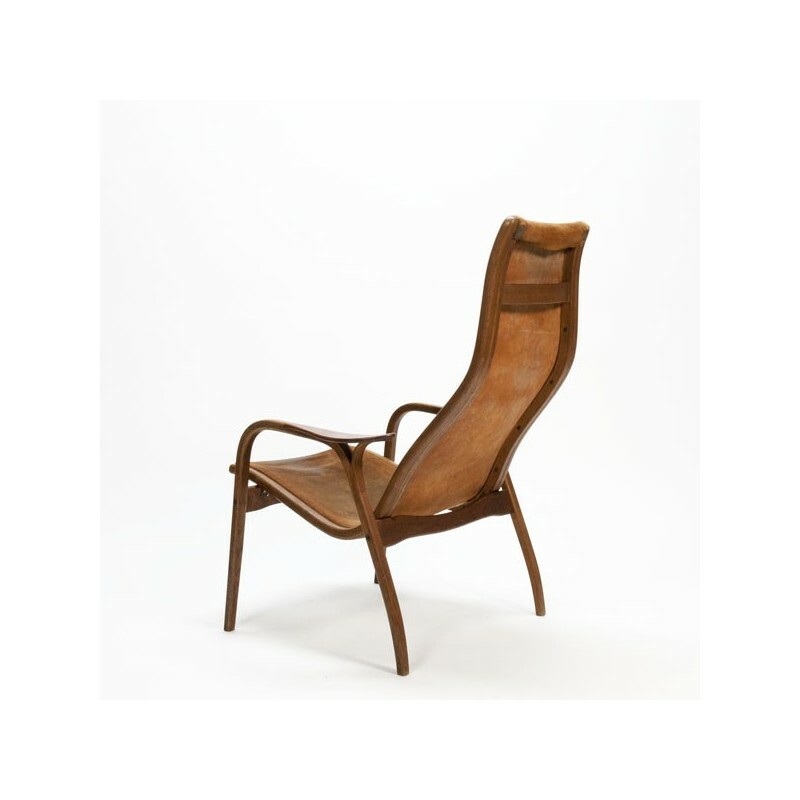 The chair is made of oak with teak armrests and leather upholstery. 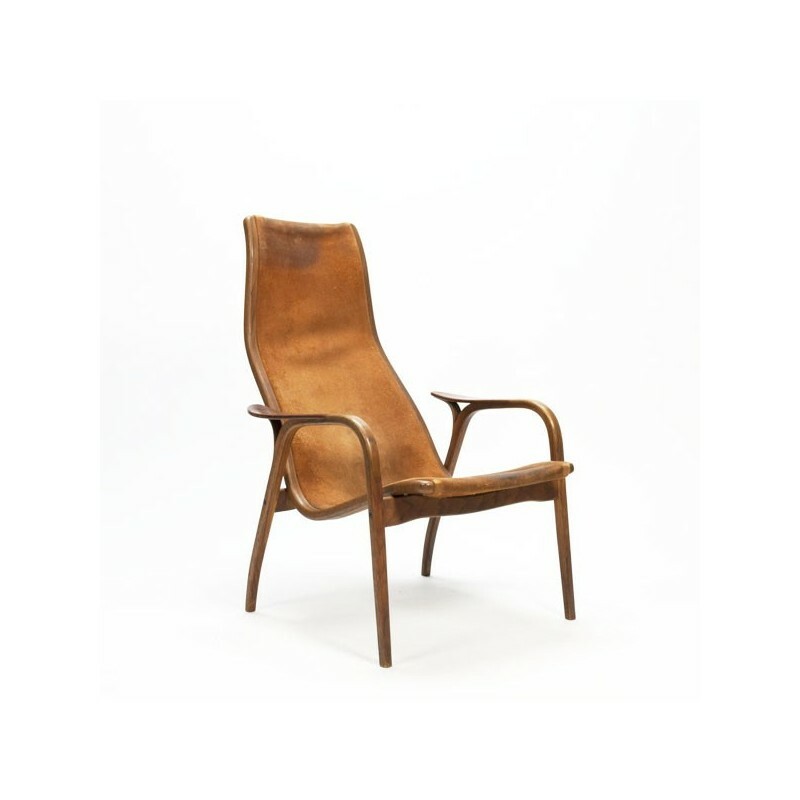 The chair is in a reasonable condition, unfortunately is no longer the upholstery in top condition and is very used in a few places. 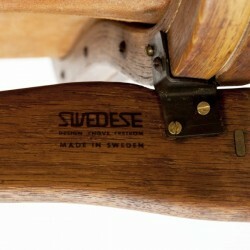 The price of the chair is adjusted to the condition, see for a clear picture the detail photos. 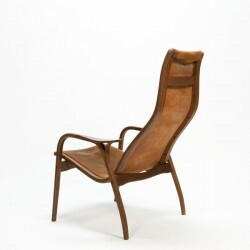 The size is 40 cm SH / 98 cm H/ 70 cm W.